This summer we’ll be giving our prayer life the attention it deserves. 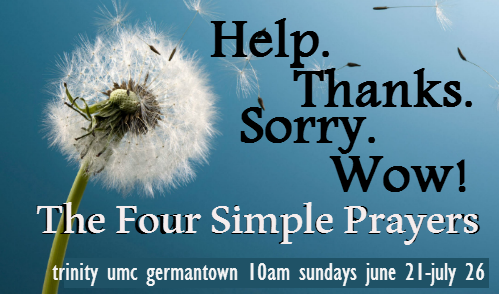 We’ll begin with Four Simple Prayers: Help, Thanks, Sorry, Wow! (Yes, based on a book by Anne Lamott). 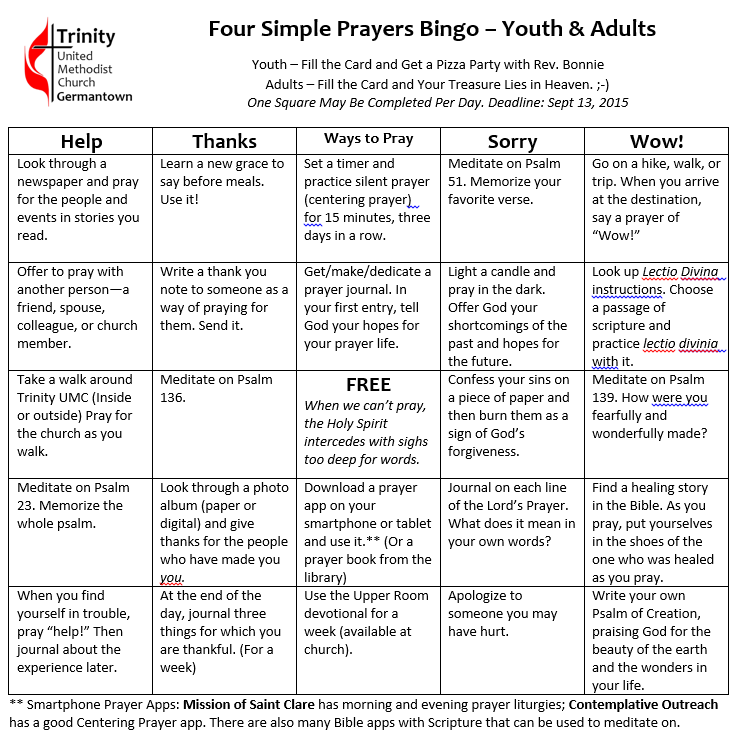 Then we’ll move to four more great prayers found in Scripture and the Methodist Tradition. Join us for worship as we pray together. 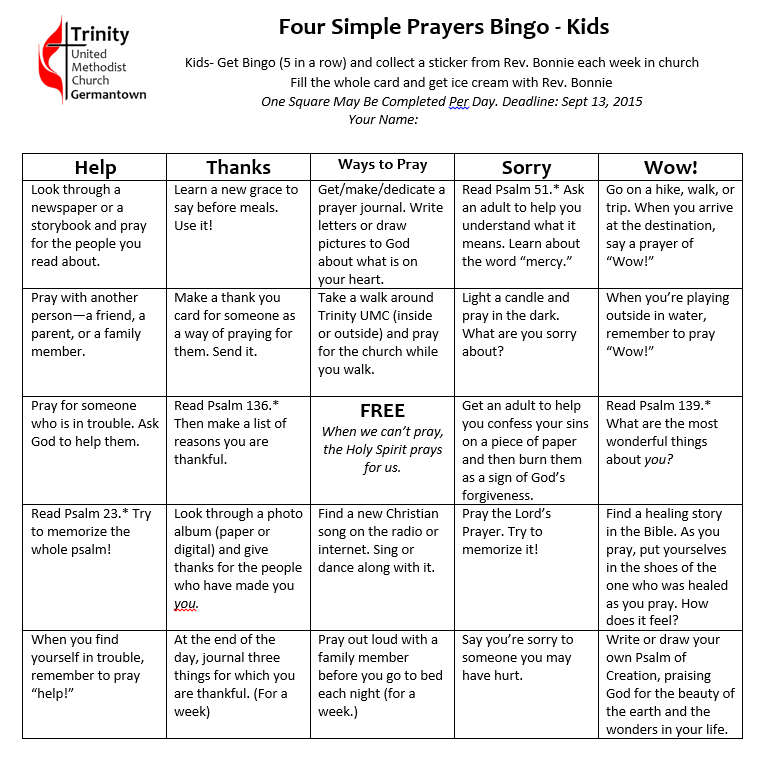 At home, enjoy these prayer bingo activities to explore different ways to pray as an individual or a family.